* [Sorry!] A large (and often only slightly reced­ing) bay. 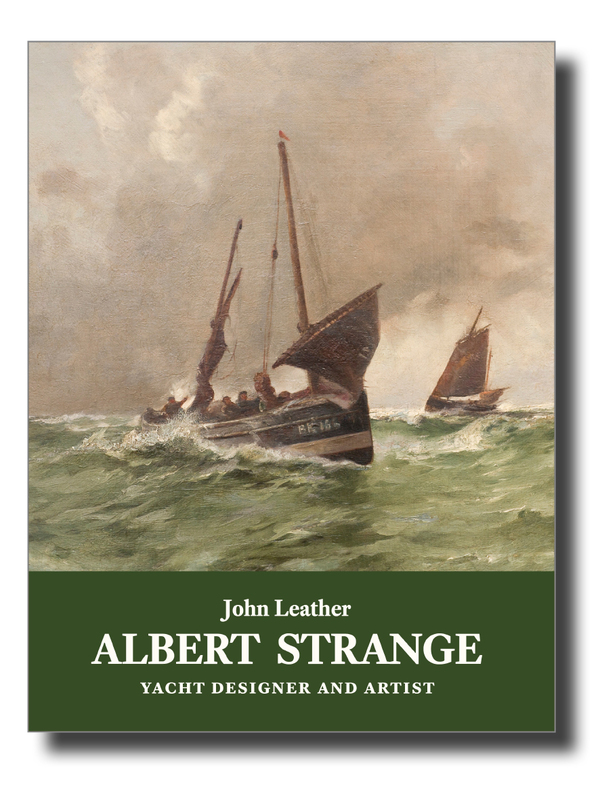 Some read­ers will know that I am heav­ily implic­ated in The Albert Strange Asso­ci­ation, a body which cel­eb­rates the life and work of that artist, writer and yacht design­er. There are not that many Strange boats in the world, and of those, a sub­stan­tial num­ber live in Essex and Suf­folk; every year around now we try to meet on the water one week­end. This year’s meet has just taken place on the Walton Back­wa­ters, and involved four boats: Charm, Fire­fly, Gal­atea and Nir­vana (pic­tured above), yawls all. The tides were not that use­ful to us this year, and the weath­er a little breezy, but we all criss-crossed Pennyhole Bay for an after­noon, some hav­ing reefed, some who should have, before raft­ing up in the Walton Chan­nel for a con­vivi­al sup­per. 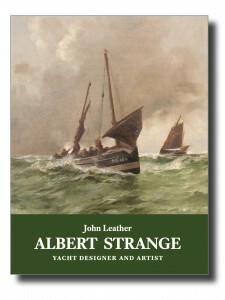 All of which forms the pre­text for me to inform you that Lode­star Books will pub­lish a new, soft­cov­er edi­tion of the ASA book by John Leath­er, Albert Strange, Yacht Design­er and Artist (1990 and long out of print) in the first quarter of 2015. It will look some­what dif­fer­ent to the ori­gin­al cover (trust me! ), will be large-format but not A4 (which is not a book size), and we will replace the plainly type­set early cruis­ing yarns with fac­sim­iles of their ori­gin­al Yacht­ing Monthly pages from 100 years ago, which are quite charm­ing. We are sorry to dis­ap­point the online deal­ers ask­ing ludicrous prices for the first edi­tion. The new edi­tion will be an oppor­tun­ity for us to include some more up-to-date pho­tos and inform­a­tion for the sur­viv­ing craft fea­tured.